Sometimes selling a home can feel like a big job – one with a thousand small tasks required to get it done. But many sellers make the job harder by ignoring or avoiding some of the biggest factors that contribute to a faster sale. 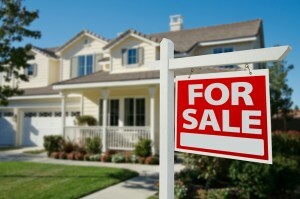 Use this list to see if your house is truly ready for that “sold” sign. Thousands of sellers make the mistake of looking around their home with the eyes of someone who knows it well and loves it dearly. But buyers won’t see it that way. So walk through your home as if you’re seeing it for the first time, taking note of everything that might give you pause as a skittish buyer. Never assume that a potential buyer will be able to overlook what you perceive as small flaws in the house. Stage your home with the help of a professional stager (or a friend who’s great at interior design and organization) to create positive word-of-mouth with Realtors. While you’re staging the house, put away all or most of your family photos and other trinkets that make it “yours.” Your goal is to make it look like a model home so buyers can envision themselves living there. Don’t wait until an Open House is scheduled for your property to do repairs, staging and de-personalizing. Do it before your house ever gets listed online. As Realtor.com President Error Samuelson said, “Web appeal is the new curb appeal.” According to a study done by Trulia.com, homes with six photos posted online are twice as likely to be viewed by buyers as homes with fewer than six. Nothing is more frustrating for an agent than a seller who doesn’t want to let potential buyers in to see it. Yes, last-minute requests for showings are a hassle. Yes, it’s a real pain to keep the house clean all the time. Yes, it’s tough to do showings when you have babies or toddlers at home. But the homes that sell fastest are the ones people are able to see quickly and easily. If you have lots of requirements for showings or long wait times, agents are likely to skip your house and go on to the next. We live in an increasingly social world, so take advantage of connections by inviting your neighbors to tour your house. It’ll encourage them to spread the word to friends who may be looking for a house in the area. And ask your Facebook friends to help out by sharing a great photo of the house you’ve posted on their timelines. Some sellers even create video “love letters” to their homes and post them on YouTube to endear the home to potential buyers. With the right price, the right look, accessibility and social connections, you’re well on your way to the “sold” sign you’re working toward.